My dad, Mike Flynn Shihan, and me. Martial arts has always been a big part of my life as I was practically born into Aikido. My father was an Aikido instructor before I was born and when I turned 3 he opened his own dojo. I started training immediately and even have home videos of us practicing when I was less than 2 years old to prove it! Even before I could walk I was drawn to the art and during class I crawled across the mat to give him a Jyo (wooden staff). Aikido was ingrained into and has stayed with me throughout my life. Starting off as a child you learn how to be disciplined and focused during class. You must pay attention at all times to learn. By starting off young, you also develop good motor patterns as well as learning how to fall properly. 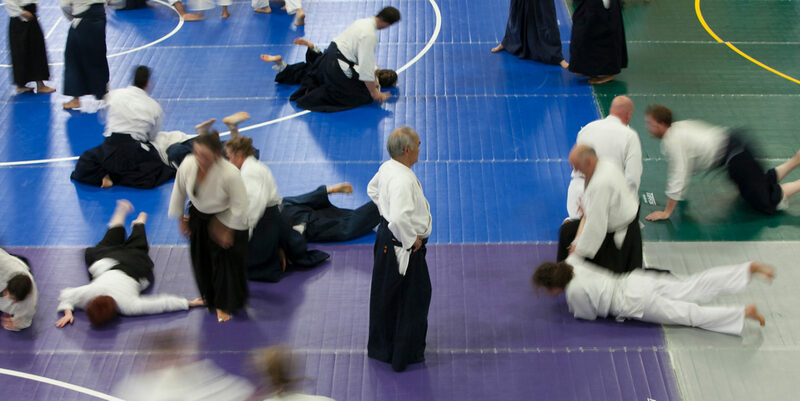 Everyone has fallen at some point in their life, but Aikido teaches you how to constantly get back up again and fall without injuring yourself. Stay focused or you might cut yourself. As you grow older, you learn that Aikido is not a competitive martial art and although some of my friends have competed in other arts and tournaments, I have always stayed away from competition. I believe that with competition comes ego and this is what must be avoided to succeed in life. In Aikido, you are solely competing against your own demons and this heightens your level of self awareness. Battles are constant, as I too have a lot of faults and am no better than anyone else because I do not compete, but I have learned how to suppress my ego and take criticism. I think that by understanding one’s self at an early age, you will discover what to pursue in life and for me that was PT. Of course, martial arts are not all mental, there is still the physical aspect! It keeps you fit and since I am more interested in manual therapy, it allows me to be in shape to perform manual interventions without tiring quickly (as you can see here, get up and keep moving). Nage: Mike Flynn Shihan. Ukes: JD Wright, Deena Drake Sensei, Mitsu Nobusada-Flynn, Elmer Tancinco Sensei, Sarah Crawford. There are many ways to stay healthy, but personally this is one of my favorites. If you are a therapist struggling to maintain a high level of fitness, you are doing a disservice to all of your patients as the level of provided care will decline if you are withering away throughout a day of back to back treatments. So you ask may be asking how does this all tie back together? Starting grad school three years ago, I learned early on that one needs to be able to take criticism from professors and CI’s while not letting your ego get the best of you. I have learned that one will fall early and often in school, but it is a necessity to persevere through these falls and constantly get back up to get where you need to go. Additionally you must stay focused during class while maintaining an outlet during school. Aikido was and still is my outlet as there is no better place to clear your mind than on the mat. Similar to becoming a healthcare professional, you must not think of anything else but the present moment, or ultimately you will be struck in the face. I would like all of you to join me if you are ever in the San Francisco Bay Area and try out Aikido! In his letter to the dojo after our most recent set of dan promotions, Fleshler Sensei referred to the metaphor of the student as a sword: at shodan a block of metal; at nidan a sharpened piece of steel; and at sandan a polished, integrated weapon. As a new sandan, what does it mean to “be a weapon”? 1. A thing designed or used for inflicting bodily harm or physical damage. 2. A means of gaining an advantage or defending oneself in a conflict or contest. As an aikidoka seeking to reduce conflict rather than increase it, the first meaning seems problematic. 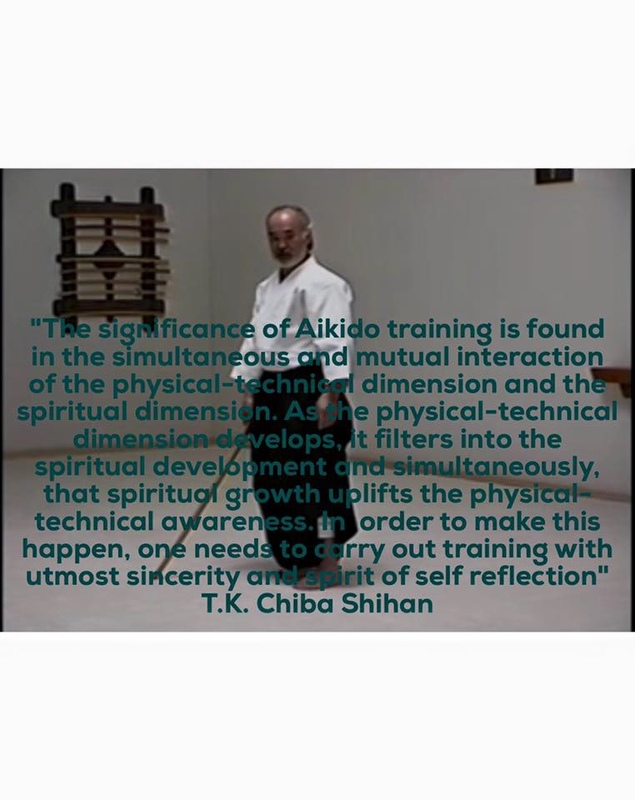 Although aikido is certainly capable of resulting in bodily harm to an uke unprepared for absorbing and dissipating the power of the techniques, inflicting bodily harm or damage is not a goal of our art. The second meaning appears more promising, as defending oneself in a conflict by diffusing that conflict is a goal. One thread that is common to both meanings, however, is that of intent: in both definitions a weapon is a means of projecting one’s intent into a situation of conflict. In this sense a weapon is a specific form of tool. Just as a chisel can be used to project one’s intent onto a piece of wood, thereby transforming that wood, a weapon can be used to project one’s intent into a conflict, thereby transforming that conflict. The type of transformation actually achieved depends on both the intent of the wielder of the tool and his skill level. A piece of wood can be transformed into a beautiful carving with proper intent and skill with a chisel. Conversely, a different intent or the lack of sufficient skill to produce a carving can result in wood chunks only suitable for firewood. Similarly, a conflict can be transformed into peace with both the intent of diffusing the conflict and skill with a weapon. Lacking peaceful intent or sufficient skill can result in more conflict and damage. Though necessary, proper or moral intent is not sufficient to successfully project one’s will to transform. Skill acquired through study and regular practice is also required or the result can be indistinguishable from that of bad intent. This requirement for a constant refining and honing applies to the tool itself as well as the user of the tool. Chisels and swords must be actually handled to develop the skill of their use, but doing so causes them to nick and dull, and eventually requires them to be sharpened. Even when sitting unused, chisels and swords must be cleaned and oiled or they may rust and not be ready when required. Similarly, even if not engaged in their art, the artisan and warrior must maintain their basic physical and mental conditioning or risk not being ready to apply their tools when required. The tool and the tool user are thus inseparably intertwined: both must continue to develop together in an endless cycle or forfeit the ability to successfully transform their surroundings. This fundamental inseparability between tool and tool-user is what it means as a martial artist to “be a weapon”. If I, as an aikidoka, am a weapon, I am both the intentional agent and the tool to achieve a transformation from conflict to non-conflict. 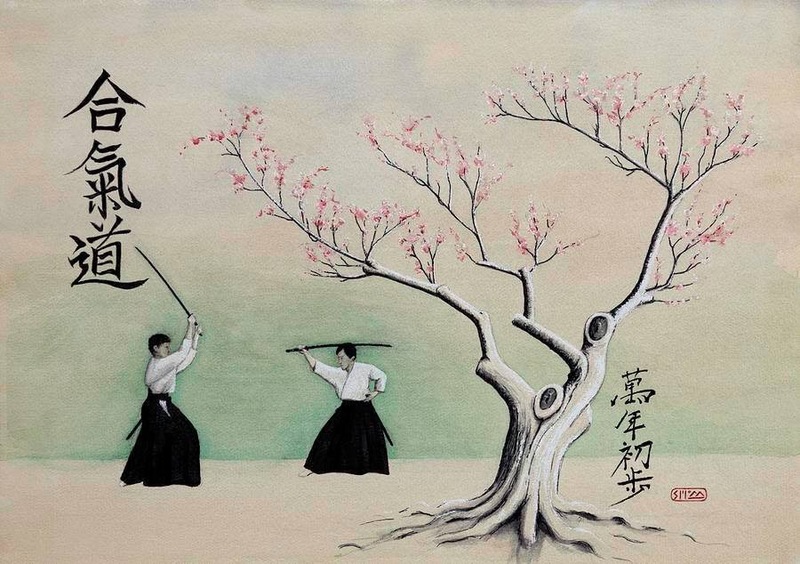 If I am a weapon, I must consciously and consistently develop my skills, renew my sharpness, and avoid deterioration due to inattention; failure to do so risks producing firewood instead of a carving. I first joined Aikido to get fit and learn how to fight. I liked the idea of protecting myself and also the person attacking. 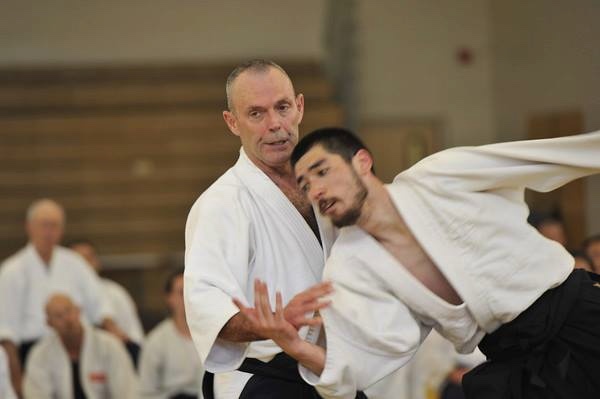 I was not looking for a traditional school or any type of philosophy when I came to Aikido of Albuquerque (AOA). I had preconceived ideas on what I thought was going to happen with me and my training. I would come, learn a technique, and I would be able to use it in a fight. I learned over time that Aikido forces you to use different parts of yourself, and if you are open to learning, you will grow from your training. Everything we do has a lesson in it; we are part of that lesson. “To study the Way is to study the self. To study the self is to forget the self. To forget the self is to be enlightened by all things.” The Way is not just Aikido, but the way of all things. When I first came to AOA I thought it would be tough. It was not tough; it was hard. I was out of shape coming in, but I had played sports in high school, and I thought after a few months things would get easier. Eventually things did get easier, but my training also became more challenging. During my practice with Sensei, he would have me lift weights, sprint, then do a series of push-ups, sit ups, and jumping jacks. At the end of practice, I could barely breathe or stand. This was great for conditioning, but the real practice was pushing my mind when all I wanted to do is give up. Everyone falls apart when they get tired. Withstanding the mental and physical discomfort of that state is the true training behind this practice. Sensei once had a conversation with me about how caring for the dojo and putting detail into your work is how to begin to analyze technique on the mat. Finding dust or out of place objects gives attention to detail. Everything we do has a purpose, everything in the dojo has its place for a reason. 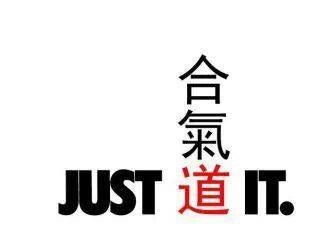 This is how we should approach our Aikido training, but also how we should approach everything. The training never ends; it only changes from one task to another. The intensity of training, the clearing of the mind in zazen, the detail put into cleaning, all these things we can take and apply them to everything we do in our life. Growing up my family never really went to church or had relationships with any groups of people outside of close relatives. During my time at AOA, I have really gotten to experience being part of a community. Over the past four years, I’ve grown close with the people at AOA. The Senseis, all my Sempai, the Kohai, and all the kids I’ve seen grow, have had a huge influential impact on my life. The best times I’ve had, easily the healthiest time in my life, has been the past four years, and it’s because of the people at AOA. They have been there for me to talk to, had me over for dinner, and shown me the importance of togetherness. I would be much less without the compassion and guidance that all my comrades have shown me. I’ve always been able to put myself out and be there for people, but being able to take help from people is much harder and is an important part of being in a community. I believe that someone can take many paths to finding oneself; I was lucky to find Aikido. To face the challenges in life, a person needs self-control, focus, confidence and help. Using Aikido in a fight is a byproduct of our training. What we truly get out of practice is to see ourselves. 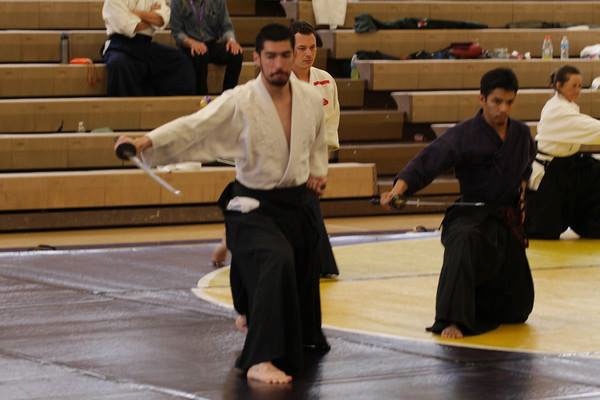 Greg Urbina has been studying Aikido for 4 1/2 years and is an uchideshi at Aikido of Albuquerque. Birankai North America wishes to express our love and support for the family of Bob Burns, who passed away July 15th in a car accident, and for his son, Bruce Burns, 17, who was badly hurt in the same accident. We encourage those who wish to help to donate to this GoFundMe account for Bruce. Thank you.